Apollo Bay is a coastal town in southwestern Victoria, Australia. Kick off your visit on the 15th (Mon): trek along Great Ocean Walk, stroll through Mait's Rest, and then get great views at Mariners Lookout. Get ready for a full day of sightseeing on the next day: delve into the lush surroundings at Lorne Beach. For traveler tips, reviews, photos, and tourist information, read our Apollo Bay day trip planning website . Surabaya, Indonesia to Apollo Bay is an approximately 14.5-hour flight. The time zone difference when traveling from Surabaya to Apollo Bay is 3 hours. Wrap up your sightseeing on the 16th (Tue) early enough to drive to Warrnambool. Warrnambool is a regional centre and former port city on the south-western coast of Victoria, Australia. 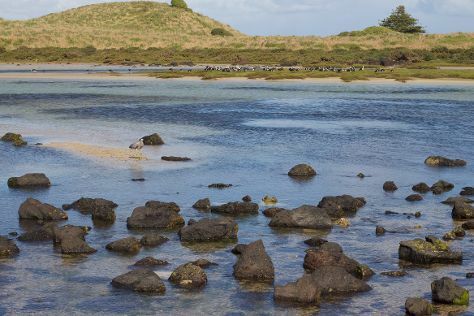 Start off your visit on the 17th (Wed): step off the mainland to explore Griffiths Island, get impressive views of Tower Hill Wildlife Reserve, and then grab your bike and head to Foreshore Promenade. Get ready for a full day of sightseeing on the next day: look for all kinds of wild species at Thunder point Coastal Reserve, then look for all kinds of wild species at Childer's Cove, then explore the activities along Bay of Islands, and finally make a trip to The Grotto. To see traveler tips, other places to visit, more things to do, and more tourist information, read our Warrnambool trip planning website . You can drive from Apollo Bay to Warrnambool in 3 hours. Alternatively, you can take a bus; or do a combination of bus and train. Finish your sightseeing early on the 18th (Thu) to allow enough time to travel to Broken Hill. Kick off your visit on the 19th (Fri): explore the world behind art at Pro Hart Gallery, then identify plant and animal life at The Broken Hill Sculptures & Living Desert Sanctuary, and then examine the collection at Royal Flying Doctor Service, The Bruce Langford Visitors Centre. 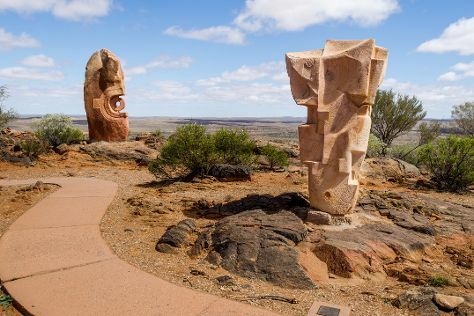 To find traveler tips, where to stay, reviews, and tourist information, go to the Broken Hill trip itinerary tool . Traveling by combination of train and flight from Warrnambool to Broken Hill takes 8 hours. Alternatively, you can do a combination of bus and flight; or drive. In April, daily temperatures in Broken Hill can reach 27°C, while at night they dip to 19°C. Finish up your sightseeing early on the 19th (Fri) so you can travel to Mudgee. On the 20th (Sat), do a tasting at Robert Stein Winery & Vineyard, learn about winemaking at SHORT SHEEP Micro-Winery, and then identify plant and animal life at The Drip Gorge. Here are some ideas for day two: do a tasting at Lowe Wines, experience rural life at Mudgee Honey Haven, then learn about winemaking at Logan Wines, and finally learn about winemaking at Broombee Organic Wines - Cellar Door. To find traveler tips, maps, reviews, and more tourist information, read our Mudgee trip itinerary planning site . You can do a combination of flight, train, and car from Broken Hill to Mudgee in 5.5 hours. Alternatively, you can drive; or fly. Traveling from Broken Hill in April, Mudgee is little chillier at night with lows of 11°C. Finish up your sightseeing early on the 21st (Sun) so you can travel to Forster. Forster is a coastal town in the Mid North Coast region of New South Wales, Australia, in the Mid-Coast Council LGA, about 308km north-north-east of Sydney. Start off your visit on the 22nd (Mon): tour the pleasant surroundings at Elizabeth Beach, then enjoy the sand and surf at Cellito Beach, and then indulge your thirst for a good beer at The Coastal Brewing Co. Keep things going the next day: tour the pleasant surroundings at Seal Rocks, enjoy the sand and surf at Seven Mile Beach, and then experience rural life at Colin Wren Oysters. For traveler tips, reviews, where to stay, and tourist information, refer to the Forster online travel route planner . You can drive from Mudgee to Forster in 5 hours. Expect a bit warmer evenings in Forster when traveling from Mudgee in April, with lows around 15°C. Wrap up your sightseeing on the 23rd (Tue) early enough to travel to Sydney. 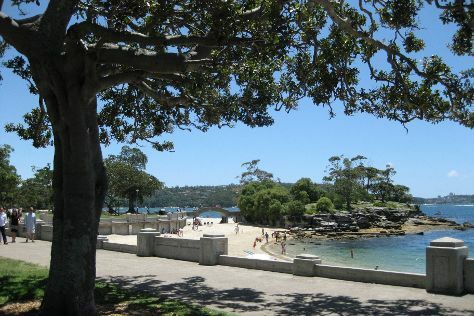 Start off your visit on the 24th (Wed): get some thrills on the water with a speed boat tour, then hike along Manly Scenic Walkway, and then kick back and relax at Balmoral Beach, Mosman. To see traveler tips, other places to visit, photos, and other tourist information, refer to the Sydney trip planner . Drive from Forster to Sydney in 4 hours. In April, plan for daily highs up to 26°C, and evening lows to 17°C. Finish your sightseeing early on the 24th (Wed) to allow enough time to travel back home.